Room very comfortable. We were on the top floor overlooking the beautiful Cathedral, snow-covered Dolomites, and the huge plaza. Spent much time gazing out the window. What an incredible sight. Breakfast buffet huge, varied and delicious. This is the first rave review I’ve written—the stay was that great. No negatives. Where to find Postal hotels near an airport? 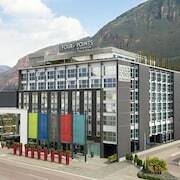 Where can I find hotels in Postal that are near tourist attractions? Accommodation choices are in abundance in Postal. Expedia's up-to-the-minute database features 72 lodging options that are within a 0.1-kilometre (0.06-mile) distance of the center of Postal. A convenient option if you want to stay near the center of Postal, is the Hotel Muchele. 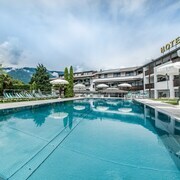 You could also check out the Hotel Gurglhof as well as the Alpen-Wellness Resort Hochfirst. The Hotel Gurglhof is 30 kilometres (20 miles) from the heart of Postal. The Alpen-Wellness Resort Hochfirst, is situated 30 kilometres (20 miles) away. 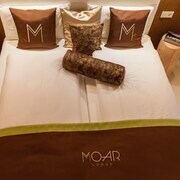 Two other accommodation options include the Hotel Castel Fragsburg and the Park Hotel Mignon. 8 kilometres (5 miles) from Postal you'll find Merano Historic Center, where you can spend the day enjoying Merano Theatre and Merano Christmas Market. 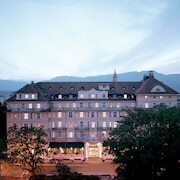 Some of our recommended Merano Historic Center accommodation options are the Hotel Terme Merano and ImperialArt. Or, you could consider staying in Alta Pusteria, 80 kilometres (50 miles) to the east of Postal, where you can pick from the Romantik Hotel Santer and Residence Ariston. The Gustav Mahler Zoo and Lake Dobbiaco are just a couple of the more popular points of interest to check out in Alta Pusteria. If watching sport is what you love, make the time to visit PalaTrento, which is 65 kilometres (39 miles) to the south of Postal. Book a hotel near the action at the Aquila d'Oro or the Hosting Culture Hotel Accademia. 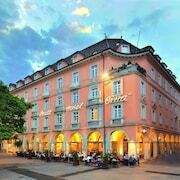 Bolzano Airport is a convenient airport, and is 19 kilometres (12 miles) away from Postal. 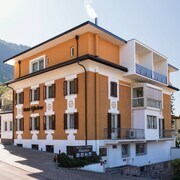 Expedia-listed hotels close to Bolzano Airport are Hotel Greif and Parkhotel Laurin. What are the most popular Postal hotels? Are there hotels in other cities near Postal? What other types of accommodations are available in Postal? Explore Postal with Expedia.ca’s Travel Guides to find the best flights, cars, holiday packages and more!